Rosacea and gastrointestinal disorders: Could an intestinal enzyme dysfunction be at the root? Since the 1940’s and early 1950’s when physicians started noting and publishing that rosacea sufferers often report gastrointestinal problems and that these usually correlated with rosacea flares and flushing, a great deal of research has been performed to determine if there was a true physiological disturbance at the gastrointestinal level. Gastroenterologists, physicians who specialize in diagnosing and treating disorders of the stomach, small intestine and large intestine, have performed dozens of clinical studies on rosacea sufferers over the past few decades and have reported mixed results. Utilizing gastrocameras that can view and analyze most of the gastrointestinal tract, punch biopsies of the intestine to evaluate inflammation, histological evaluation of the bowel for dilator hormone release, and multiple endoscopic minimally-invasive surgical procedures, some physicians have found clear evidence that a significant percentage of rosacea sufferers do suffer from chronic inflammation of the intestine and high levels of dilator hormones, proteins and peptides in the intestine that can be released into the systemic blood circulation and cause facial inflammation. Recently a molecular link has been proposed between an intestinal enzyme’s dysfunction and rosacea symptoms — this particular enzyme disorder may be overlooked by many physicians because there are no real physical signs. This is now a “hot” research topic in the rosacea community. 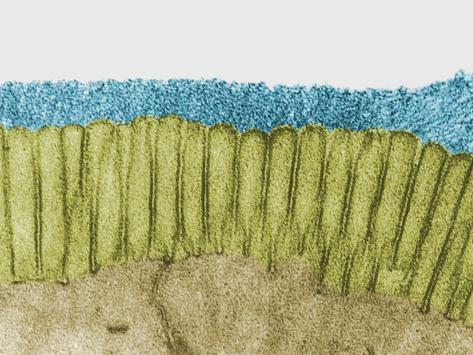 The Intestinal Alkaline Phosphatase (IAP) enzyme that resides in the brush border of the intestine where primary defenses, detoxification and absorption occur are key protectors of the gastrointestinal tract and are the primary “gate keepers” to what gets into the systemic circulation. This dense population of enzymes is responsible for protecting against pathogens, bacterial assaults, detoxification of heavy metals, and blockade of potent dilators and inflammatory hormones. The IAP must be healthy, active and able to mitotically divide to replace dysfunctional, inactive or dead IAP enzymes as 60% of our immune system resides in the gastrointestinal tract. The IAP enzyme also regulates the passage of strong dilator hormones such as gastrin, vasoactive intestinal peptide, secretins and a dozen other hormones that could cause rosacea flares if left to freely pass through the intestinal brush border. They also aid in the detoxification of foods, medications and drinks that consist of strong dilators and pro-inflammatory peptide fragments that can contribute to rosacea inflammation. [ref. #1] The focus of many rosacea sufferers and naturopathic doctors has been in keeping the “good” bacteria in your intestine at high levels with probiotics, but the real key now seems to reside in keeping the IAP enzymes, healthy, functional and densely populated…. which probiotics have no effect on. IAP’s effect on rosacea has been discussed in-depth at the 2011 and 2012 American Academy of Dermatology meetings and is a keen area of research and treatment interest. Most physicians note that when the IAP enzymes are dysfunctional, dying or dead, that most times rosacea sufferers only report minor gastrointestinal tract problems that can be easily misdiagnosed. These cells just stop functioning and after they die, holes are left that trigger inflammatory hormone release of gastrin, vasoactive intestinal peptide, secretins and allow inflammatory immune cells, and dilator food particles to enter the systemic blood stream and trigger facial redness, flushing and skin inflammation. IAP Treatment Options: Sulforaphane to the Rescue To Help With Treatment For IAP Dysfunction That May Be Contributing To Your Rosacea Flare Ups And Gastrointestinal Stress. Sulforaphane must be harvested from young broccoli or brussel sprouts when they are three to five days old because if they are younger or older they contain 75% less sulforaphane. Very few companies do this because it is very expensive. Sulforaphane should be extracted and isolated using the latest solvent- free super critical extraction with CO2 because alcohol, solvents, and heat inactivate this ingredient. The Sulforaphane in Rosadyn is derived from young natural sources during its peak to ensure optional nutraceutical value. Rosadyn’s Sulforaphane uses this latest “Green” technology for extraction, isolation and nutraceutical incorporation. Could you have undiagnosed IAP Enzyme Dysfunction? Please Add your Comments! 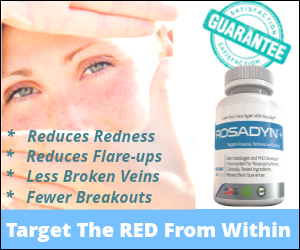 Do you flush or flare after eating, experience gastrointestinal distress or suffer from spontaneous rosacea flares ? If yes have you thought about getting a simple blood test to determine if IAP enzyme dysfunction plays a role in your rosacea? If you have been treated for IAP Enzyme Dysfunction and it has helped you with your rosacea please also feel free to share what worked for you. Your experience just may help others who may be experiencing the same contributor to their flushing and flare ups. 1. Bol-Schoenmakers M, Fiechter D, Raaben W, Hassing I, Bleumink R, Kruijswijk D, Maijoor K, Tersteeg-Zijderveld M, Brands R, Pieters R Intestinal alkaline phosphatase contributes to the reduction of severe intestinal epithelial damage. Eur J Pharmacol. 2010 May 10;633(1-3):71-7. doi: 10.1016/j.ejphar.2010.01.023. Epub 2010 Feb 2. 2. Whitehead J. Intestinal alkaline phosphatase: the molecular link between rosacea and gastrointestinal disease? Med Hypotheses. 2009 Dec;73(6):1019-22. doi: 10.1016/j.mehy.2009.02.049. Epub 2009 Jul 1.